Sciblogs | So you think science has a problem? Atheism is as much of belief as any religion, the key tenant of which, ‘there is no god’, is not falsifiable. Some scientist are justifiably averse to pontificating Atheist whom imply science, as a framework, lends weight to their belief. Atheism, like any religion, is “not even wrong” (http://en.wikipedia.org/wiki/Not_even_wrong). There is potentially more to lose by the corruption of science by its “practitioners” than the beliefs held by others. It is a shame that some scientists don’t have a philosophical awareness of their own discipline. Opensciece – I think most scientists don’t like to see their science used opportunistically and dishonestly. But imagine the problem of evolutionary scientists or climate scientists having to put up with the common dishonest pseudoscientific claims made by creationists and climate deniers. You can see why they need to speak up from time to time. So it is disingenious to accuse them of militancy or pontificating. 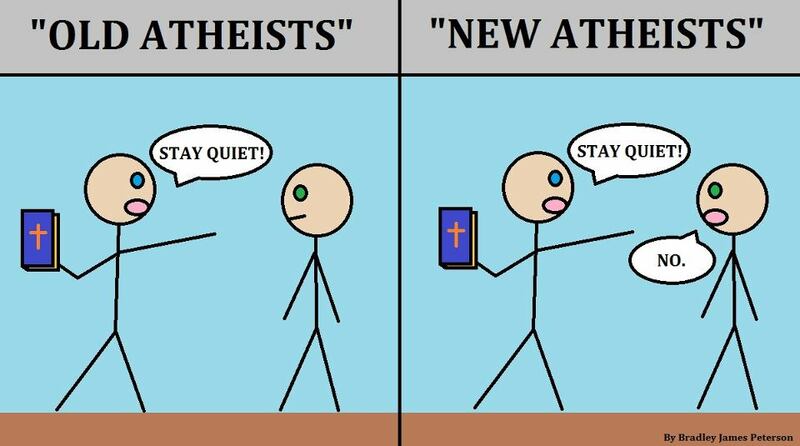 I really don’t think atheists are the main offenders here – most of us are happy for people to have their own beliefs as long as they don’t impose them on us. And just look at all the theist claims that are made about science being based on Chritianity, etc., as well as straight claims of fact which contradict science. Look at the intelligent design Wedge strategy aimed at replacing modern science with a theistic science by removing the current requirements for evidence and validating against reality. If you think there is an any corruption of sience by scientists themselves speak up about it. Be specific. But I think the data shows that science maintains a well deserved respect in public eyes – whereas religion has lost much of the respect it formerly had. One reason has been its attempted interference with science. Interesting first graph Ken…My student’s wouldn’t be allowed to publish with an x axis that is so misleading. Nevertheless, it looks like no real different in % who regarded priests etc in v high esteem, but a slow decline in the first 20 years in % who regarded scientists in v high esteem followed by a plateau. Any idea why this was so? Anything to do with the cold war ending preceded by a greater distrust in technical solutions to solve the world’s problems? btw I think you are right in saying that “most of [scientists] are happy for people to have their own beliefs as long as they don’t impose them on us.” I think most non-scientists would say the same. Most religious people I know also do not like the idea of imposed beliefs (if actually imposing a belief is at all possible). Having said that, I can not help but think there is a logical inconsistency as the statement is effectively attempting to impose on others the belief that imposing beliefs is wrong! Know what you mean about the x-axis. Still that’s the data and although the discussion of Ecklund’s conclusions related to the period 2000 -2010 I thought it best to put the complete data in (might think about altering it but it’s just a blog post and it would be less cluttered to actually remove the ore-2000 data). Yes, the early decline could relate to the post atomic bomb era and a general reaction against science and technology. Mind you with this sort of data I also wonder if it reflects changes in polling techniques – at least in part. As for logical inconsistency – you are starting to sound like WL Craig! Anyway, being the species we are I suspect it is utopian to think we could ever remove this tendency. Still it’s a personal ideal to aim for.